I read about this place about a year ago whilst searching for newly opened/opening restaurants (as you do) and pin pointed it as somewhere to visit. Although it has taken the best part of year to fulfil my commitment, I did eventually get round to it. When it first launched I remember reading that it was an elegant restaurant offering part canteen style dining in a large space. Walking in last Friday all I can say is I wasn’t disappointed. The description was fairly accurate. 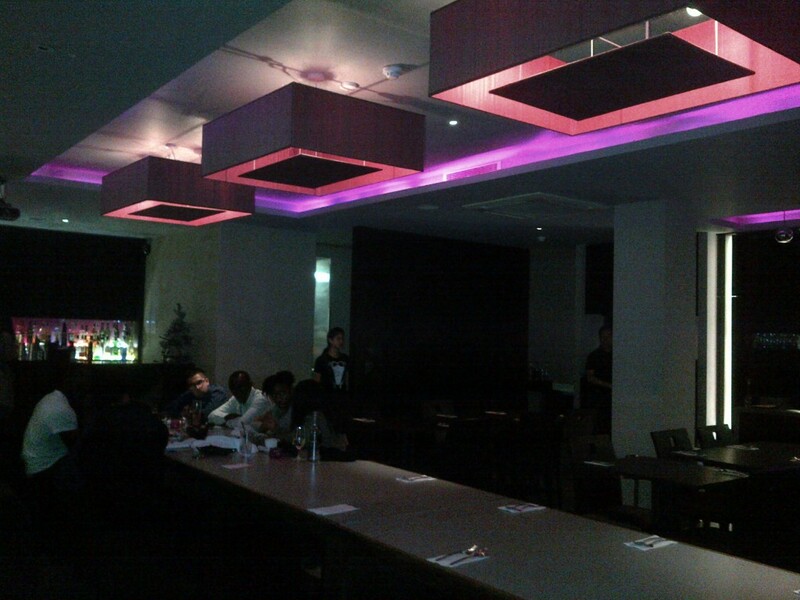 Whilst offering a few more intimate tables too, the restaurant itself is a fairly large space with tables and benches. 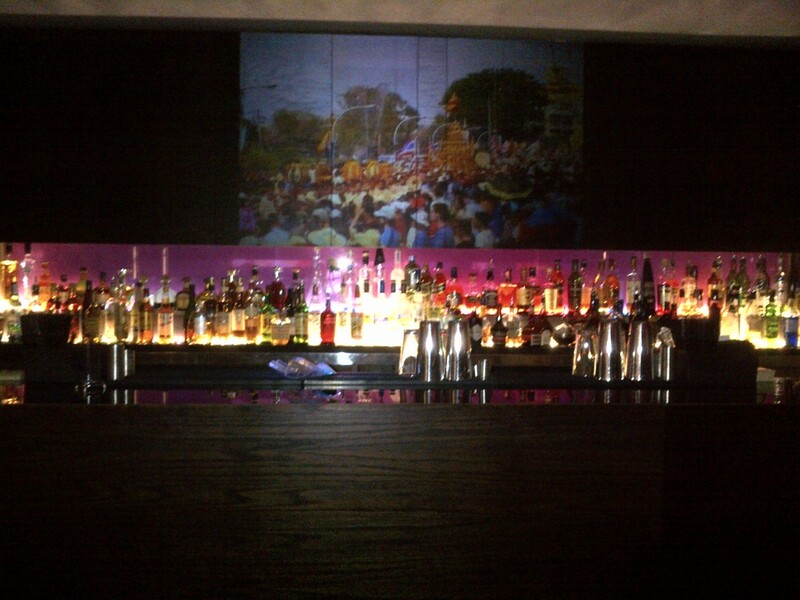 The funky lighting created an airy atmosphere, although the large tv screen behind the bar was a little unexplainable. Taking you back an hour or two, we decided on Ora because not only was it Tastecard friendly on a Friday evening, but they had a few vegetarian options on the menu too. I walked into the restaurant and asked the lady behind the reservation desk if they accepted the Tastecard and if we could book a table. Without asking when I wanted a table for, the lady told me with quite a bit of attitude that in order to use the taste card you have to book in advance, I told her that I understood that, but how much in advance did she want me to book as I was coming in now (6pm) to book a table for later (8.30pm). With a bit more attitude she checked the reservation book and told me that she could only give me a table for 9, I asked if she could do anything earlier and she agreed to 8.30. As we walked out, my sister commented that she had obviously given in because they must not have too many reservations. Fast forward two hours. We walked into the restaurant and spoke to the same lady that had spoken to me previously, however she must have served a number of people during the two-hour period as she didn’t seem to know who I was, either that or I obviously didn’t leave a lasting impression! We were seated at our table just outside of the main section (tactical seating me thinks) and it was only later when we went inside to look around that I realised the restaurant was sparsely populated! Now that my rant is over, back to the nitty-gritty. We were seated at our table and left with the menus, I had a quick look at the drinks menu and found a vast array of cocktails, both alcoholic and non alcoholic. 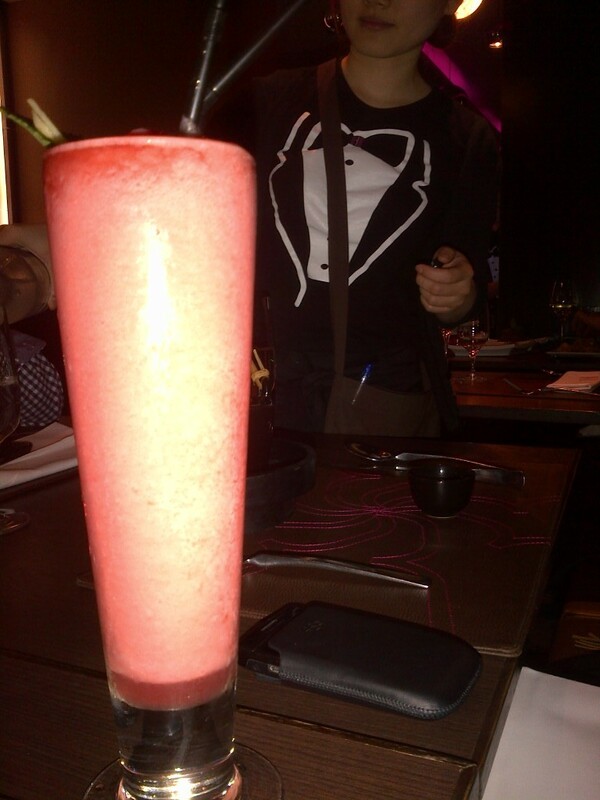 Our waitress came to take our drinks orders and I noticed the rather quirky t-shirts sporting an ‘Ora’ bow tie. I ordered a Straw & Ginger (blended) mocktail whilst my sister ordered a fresh mint tea. We set about ordering our food and ordered practically every vegetarian dish on the menu. First to come was the Por Pia Jay, that’s vegetarian springrolls for those not fluent in Thai. To be fair a vegetarian spring roll can only really be a vegetarian spring roll and by way of vegetarian spring rolls, these were nothing spectacular! Oooh ok, so the next dish to arrive was the Som Tum which most people (I’d hope) would recognise as being the papaya salad. On the menu this was described as spicy, so I had asked the waitress to make it less spicy and although she vowed to have done so, it was still fairly spicy. However I was extremely impressed none the less. 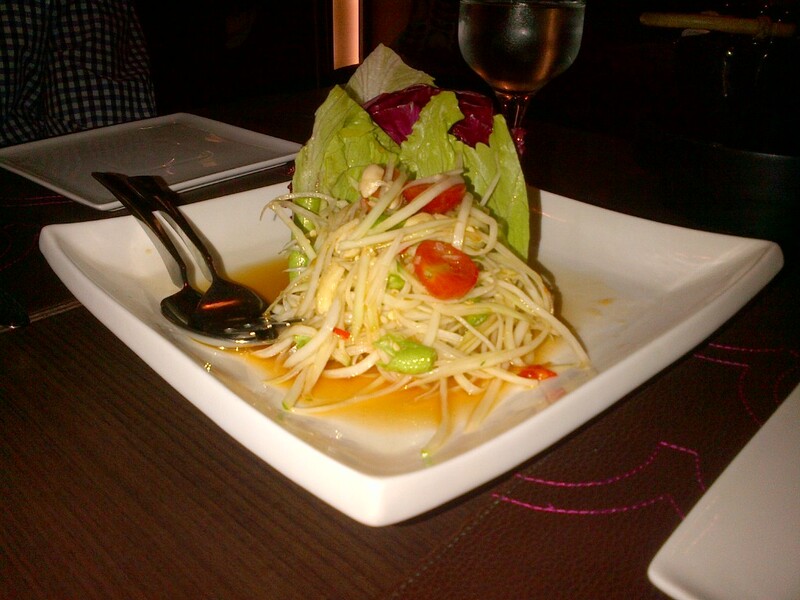 It was fresh with a really good flavour, everything Som Tum should be! A few less red chilli’s and it would have been spot on! Our mains came next. On a mission not to over order we asked for the Kaeng Deang Pak which was a rather nice Thai red curry, our only complaint was that the vegetables were rather large. In a restaurant such as Ora you would expect bite sized vegetables, but it would seem the chef was more partial to man-sized portions. The Pak Kom Towhoo which was described as fried tofu served on a bed of spinach topped with soy beans and ginger sauce was also described as spicy on the menu. Once again I asked for less spice, however when our dish arrived, it would appear that our request was ignored as the dish was laden with red chilli. 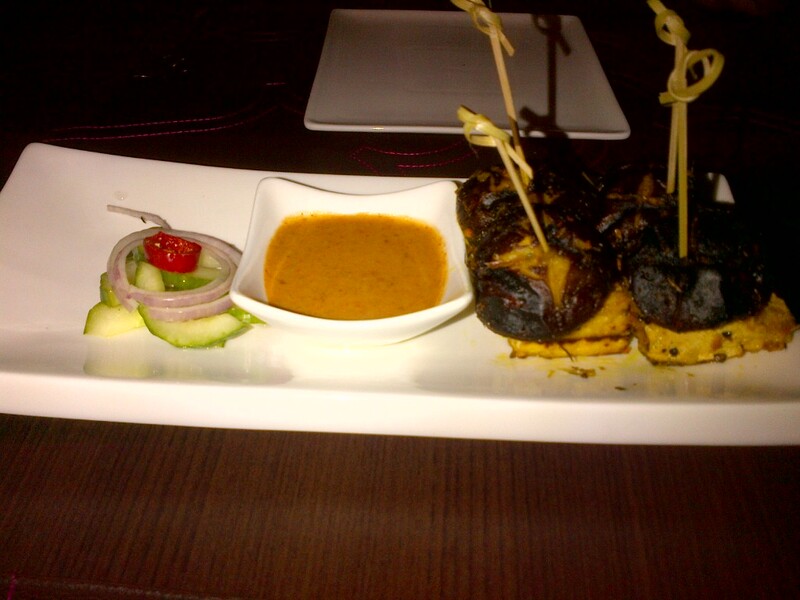 In fact there was so much spice that after a few mouthfuls you stop tasting the food and can only taste the chilli. 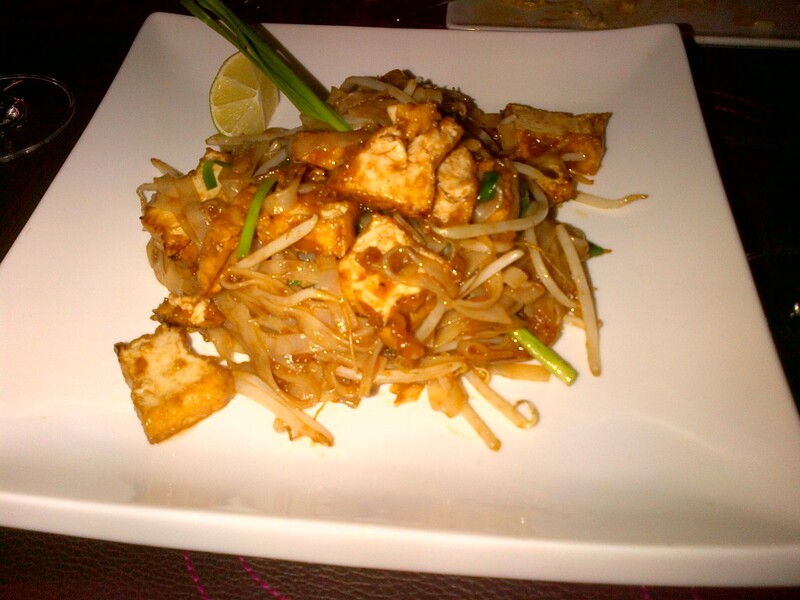 Last we ordered the Vegetarian Pad Thai. Again a fairly common Thai dish, the recipe of which is fairly similar wherever you go to the extent that there is very little compromise on the flavours and I’m yet to see a chef who makes it taste different in any way. All I can say is it was nice. Thanks to the taste card, we were given 50% off the total bill which made our dining experience extremely reasonable. Had we been paying the full price however, my opinion may have been rather different. On the whole I would say the food was pretty good, but I think this is another of those places that I believe would be better at the non veg food than the veg! Overall, not bad!